Weight Watchers is launching a new program. 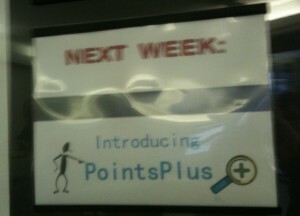 In the UK, it’s called ProPoints, but in the States, they are calling it PointsPlus. The old Points system has been completely changed, which will change how you’ll calculate the new points on your Edibles program. 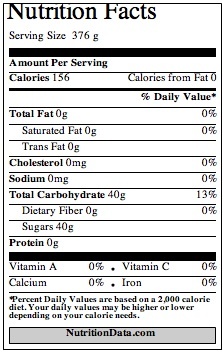 Where pp is the PointsPlus value, p is the amount of protein, c is the amount of carbohydrates, f is the amount of total fat and b is the amount of fiber, all in grams. 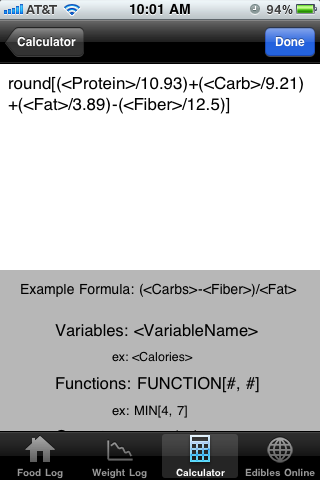 This formula is an empirical match to the Weight Watchers calculators and may not be exact; Weight Watchers has not published their actual formula. Even if you’re using the Weight Watchers iPhone app, there may be a few days WEEKS when you won’t be able to track using your phone because the app won’t be available as soon as the program starts. The App may not be available for a day or two after the new program launches. We appreciate your patience during this time. You can use the website for tracking, and everything else you usually do on your phone. 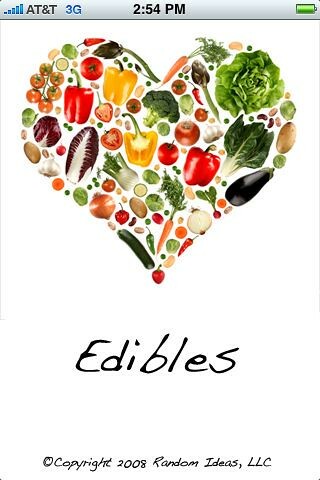 You might just want to try out Edibles to see if it works better than the official Weight Watcher app. Update 12-02-10: Due to differences in food labeling in the US vs. the UK, the PointsPlus formula is vastly different than the ProPoints formula. I changed this entry to reflect the proper formula for the United States. Whenever I get back on track, I tell everyone that I know that I am back to eating healthy and that I need a little encouragement. All the people who love me are really good at cheering me on, but there is something about getting that feedback that backfires on me. After every compliment and every positive remark, I lose steam. I don’t know what it is about having a cheerleader that makes me slack off, but I’ve definitely noticed a pattern. This time, I’ve kept my mouth shut. I’ve been working on the simplest of things: tracking my food every day, staying within my caloric restrictions and following five out of my seven healthy habits every day. If I do all three, I get another day added to my “food sobriety.” I’ve been food sober for over ten days now, but I haven’t really talked about it with anyone. Having a family of cheerleaders isn’t nearly as helpful for me as being my own cheerleader. If you have noticed that every time you tell someone about your eating plan, you blow it, then try NOT telling anyone anything. Maybe you’ll see more success if you be your own cheerleader. Update 09-15-10: Here are some screenshots from Huge, where they sign the Body Peace Treaty. This photo of a Dr. Pepper advertisement from 1939 surprised me. It’s a surprising bit of honest advertisement. 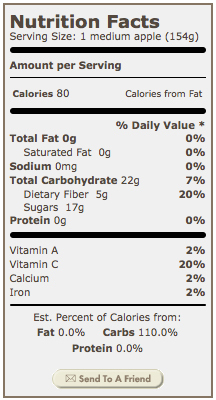 A can of Dr. Pepper is 156 calories, so it’s as much calories as an apple and a bit of cheese. Of course, if you eat the apple and cheese, you won’t be hungry again in two hours, but honestly, Dr. Pepper WANTED you to be hungry again in two hours. In fact, they built an entire advertising campaign around it. If you notice on that advertisement, there is a clock with the numbers 10, 2 and 4 highlighted. 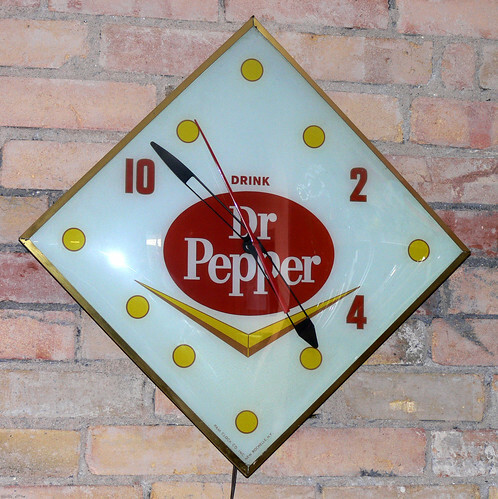 In fact, I own a Dr. Pepper clock with those numbers highlighted as well. Their marketing campaign suggested that at 10 am, 2 pm and 4pm, you should have a Dr. Pepper. If you were to add three cans of soda to your diet every day, that’s an extra 468 calories a day, meaning an extra 3276 calories a week. That’s a weight gain of almost a pound a week, just from soda. Back in 1939, most people didn’t need to worry about getting fat. They were too busy trying to get enough calories to maintain weight, but now, that Dr. Pepper slogan is ominous. When you drink a soda, you drink a bite to eat. Wouldn’t you rather just have a bite to eat? 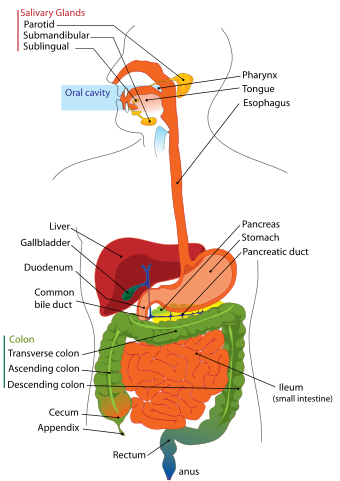 If my digestive tract is a symbiont inside of me, how do I communicate with it? If there is a dumb animal inside of me that controls how much I eat, how do I tell it what I want? If there is a beast within me that makes me overeat, how do I retrain it? 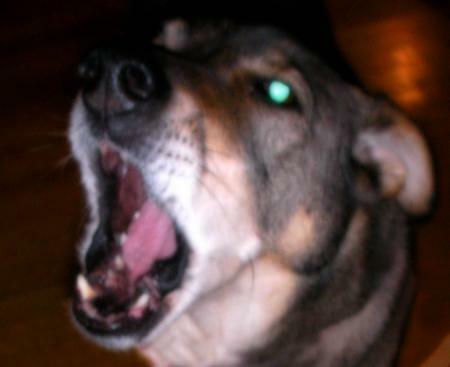 It all made me think back to my dog, Sid. We adopted Sid as an adult dog from a rescue shelter. He came knowing a few tricks, but he didn’t know the most important three: sit, come and stay. How did we teach him those tricks? 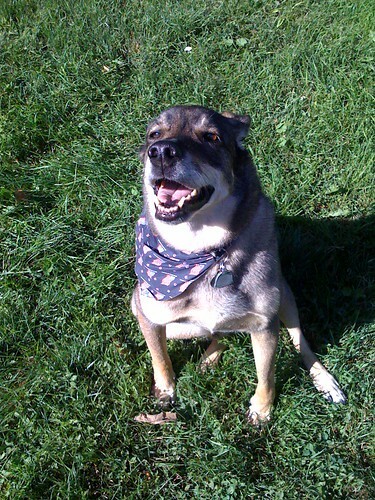 Positive Reinforcement: We gave him treats when he did things right. He usually did them right by accident, but when he did, we gave him a treat and LOTS of praise. Negative Reinforcement: We scolded him when he did things wrong. We withheld the treat when he didn’t do the trick correctly. Repetition: We spent HOURS and HOURS working with him. There were some days when we put his food in a bowl and doled it out a few kibbles at a time as treats to teach him what he needed to know. 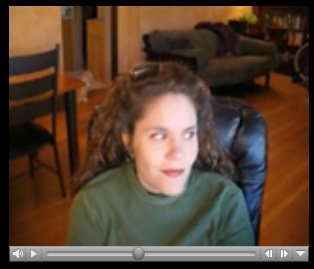 Mimicry: I’ve heard that some dogs learn tricks from other dogs. We’ve never been able to do that with Sid because he’s an only dog, but I’ve seen that happen with others. The problem is, my symbiont isn’t a dog. Most importantly, it’s a lot dumber than my dog. How do I retrain the beast within me? 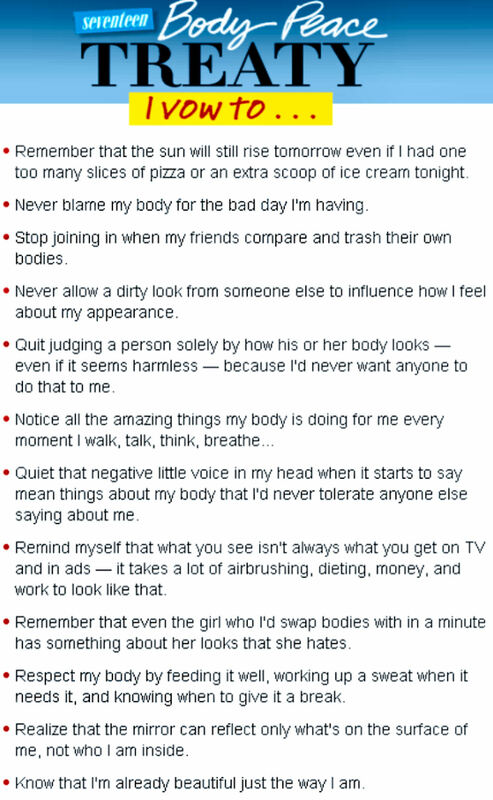 Whenever I’m thinking about how to reward the beast within me, I look at this list. 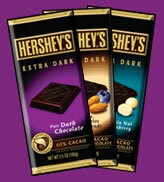 I think it’s very important that I give the reward immediately after the healthy act. So, if I exercise, I eat some healthy food immediately afterward. If I choose a healthy dish, I immediately praise myself. 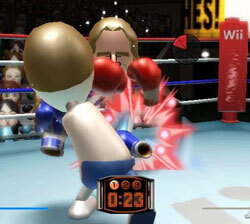 If I refrain from eating dessert, I grab my Nintendo DS and play a fun game as a reward. If I have a perfect day, I spend some time with a good friend either on the phone or in person. I realize that this is not a quick process. It took us MONTHS to train Sid how to sit, come and stay and he was only a two year old dog. My symbiont has had forty years of controlling my actions, so retraining it to do things that are healthy for me will take some time. Thinking of my body as a joined species with my intellect as one and my digestive tract as the other has really helped me. There are times when I call Sid and he STILL doesn’t come. He’s just a dumb animal and needs a little more training. The same is true for my symbiont. I’m in the process of retraining the beast inside of me. I have always felt like there was something else controlling me when it came to eating. I could always get the motivation to exercise consistently, but eating healthy has been a struggle for me my whole life. It was like there was a beast inside of me that wanted to eat as much as I could because Mike was out of the house. To be completely honest, that beast won that war. Not that day, but over the last three years, I have been unable to control it. Yesterday, I talked about my digestive tract being a symbiont within me. An animal that lives within my body that controls how much I eat. It might be an incredibly DUMB animal with only one hundred million neurons in its “brain,” but it is a STRONG animal. It can take control of me when I least expect it. How can I retrain the beast within me? 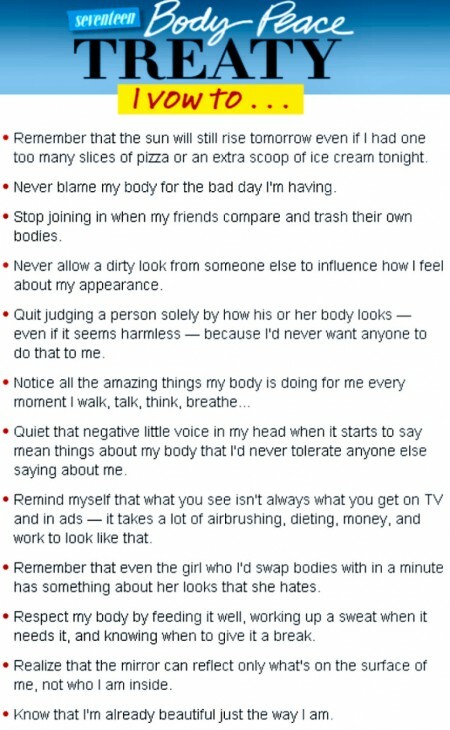 How can I make it understand that I want to be thin? It’s not like I can just sit down and have a little conversation with the animal inside of me. I have to train it like a dog to do what I want instead of what it wants. Tune in tomorrow for some ideas on how to retrain the beast within all of us. Back in February, I had a nasty case of food poisoning. It was like my digestive tract was at war with the rest of my body. I was hungry, but anything I ate was immediately expelled (from both sides). I could feel my entire digestive tract complain in pain from my throat to my colon. The Trill are a joined species with a host and a symbiont. 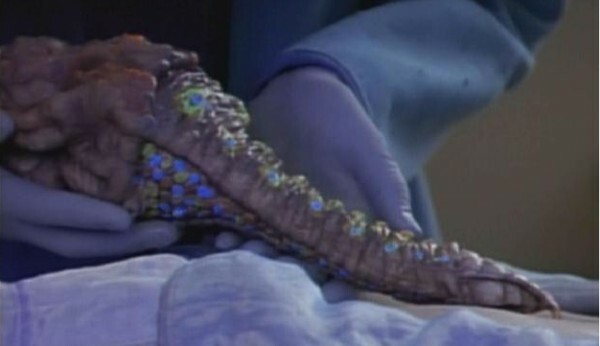 When Odon’s host body was injured in an attack, Dr. Crusher must implant the symbiont into Commander Riker. The symbiont controls Riker’s body and both consciousnesses live in the body together. Odon makes Riker do things that he normally wouldn’t do, like kiss Beverly Crusher. In my fevered state, I realized that I have a symbiont: my digestive tract. According to Wikipedia, my digestive system has a huge array of nerves that control it called the enteric nervous plexus. It has as many as 100,000,000 neurons. Now, that’s only a thousandth of the neurons that we have in our brains, but still, that’s a lot of brain matter for stomach. So, my symbiont is like an animal inside of me. For all I know, long ago, we used to be two animals and now we exist as one, just like the Trill in Star Trek. With only one hundred million neurons, it’s a pretty DUMB animal, though. After a couple of months of considering myself a joined species, I’ve had a few revelations. Tune in tomorrow to read all about them. I have been looking for a good iPhone application to keep track of my Weight Watchers Points for a long time. Weight Watchers Online has a page that works with the iPhone, but it is SEVERELY lacking in usability, so I kept looking. Back when I had a Palm Treo, I used to keep track of my points using WWCalc. It was a GREAT program, but Weight Watchers shut them down. I used to wish that the programmer would alter his program so that it could just keep track of anything and allow me to put a formula of my own in it. That is EXACTLY what Edibles has done for me.